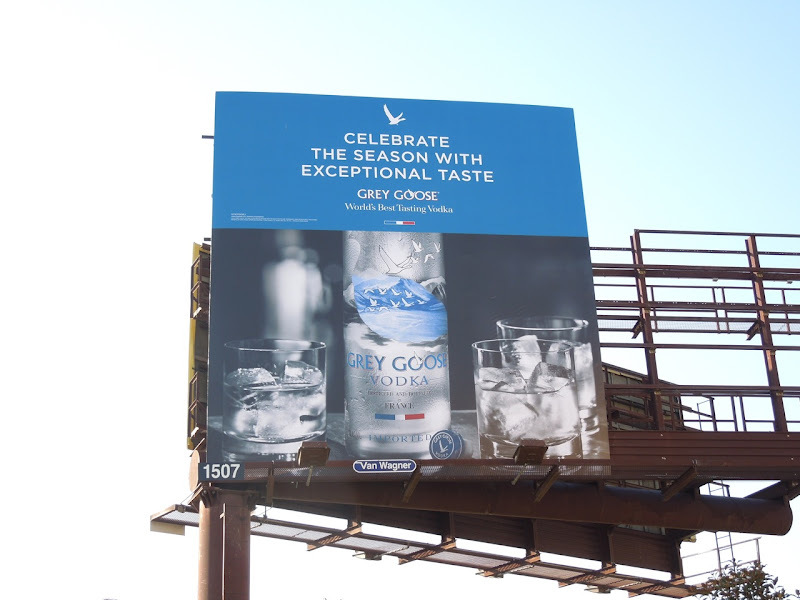 Whether it be up in a cocktail glass or on the rocks, Grey Goose Vodka is certainly the perfect way to celebrate this holiday season. 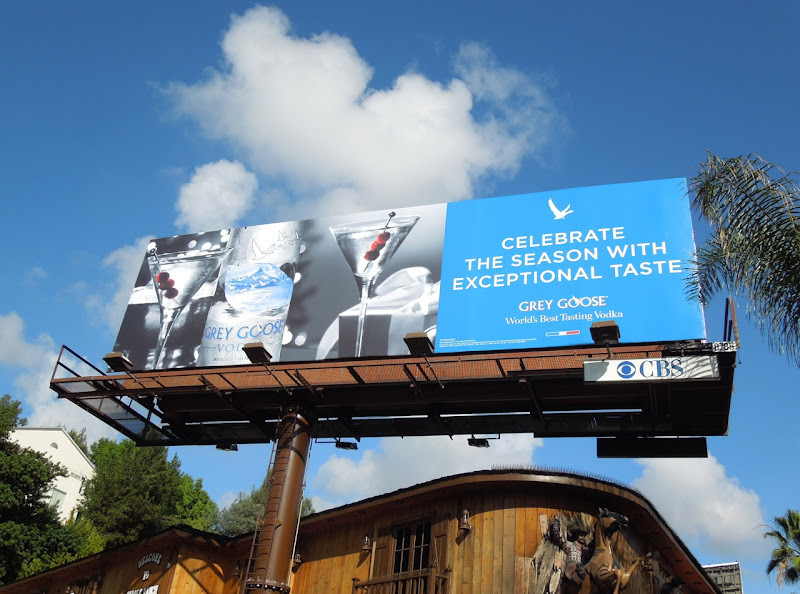 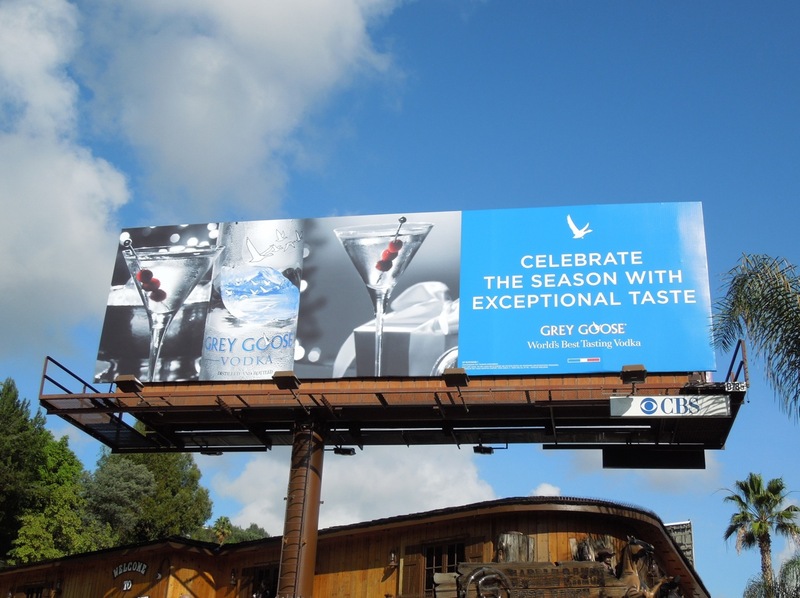 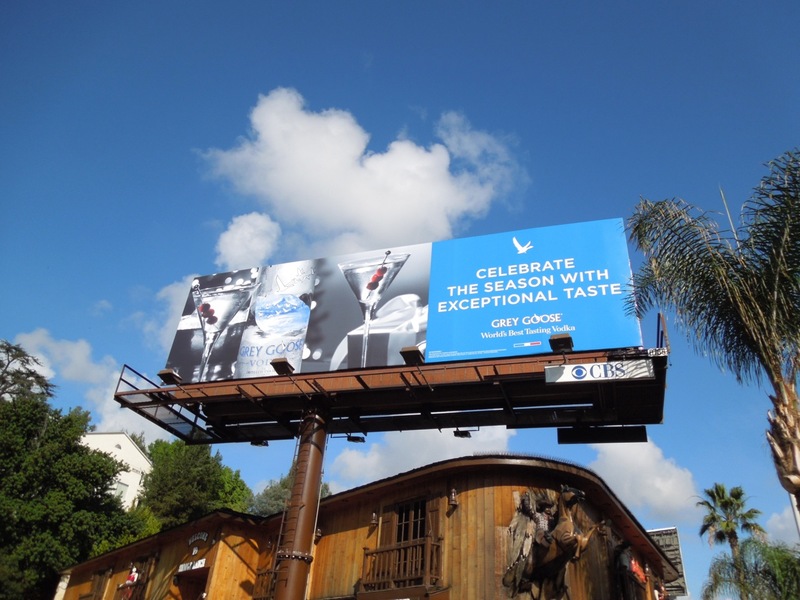 Alcohol companies certainly do like their ads to feature their bottle product shots in a big way, but that luckily that distinctive blue really sings out from these simple billboards and catches your eye. 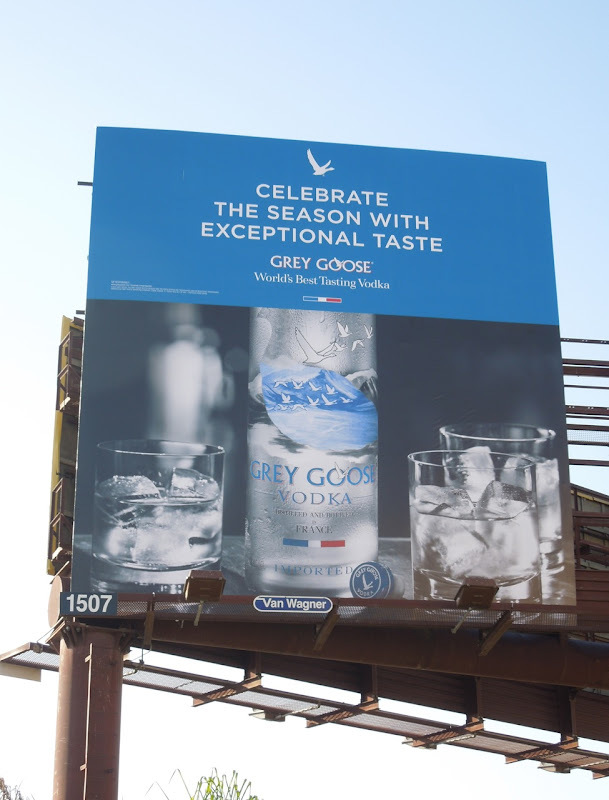 There's also something very stylish and sophisticated about this ad campaign for Grey Goose, you can almost taste that mouthwatering clear vodka. 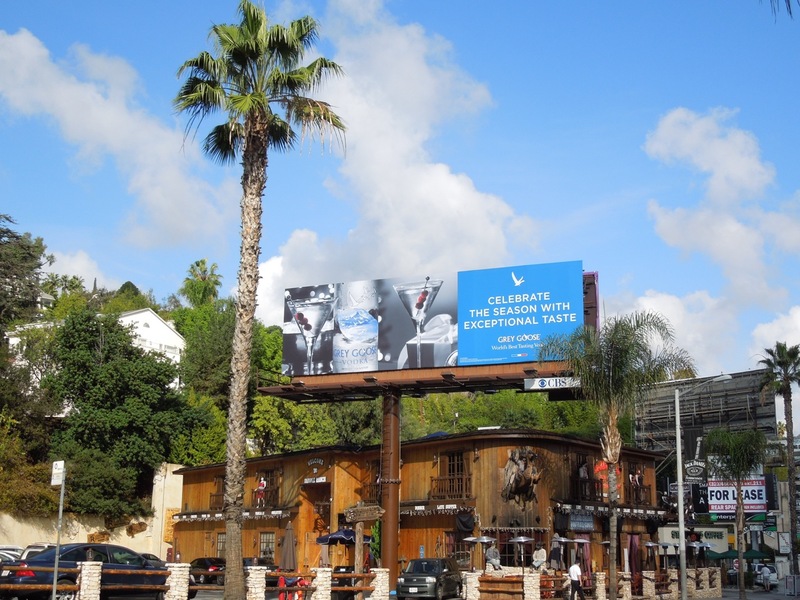 The standard landscape billboard creative was snapped along Sunset Boulevard opposite the plush Sunset Tower Hotel on December 3, whilst the squarer format was spied along La Brea Avenue on November 22, 2012. 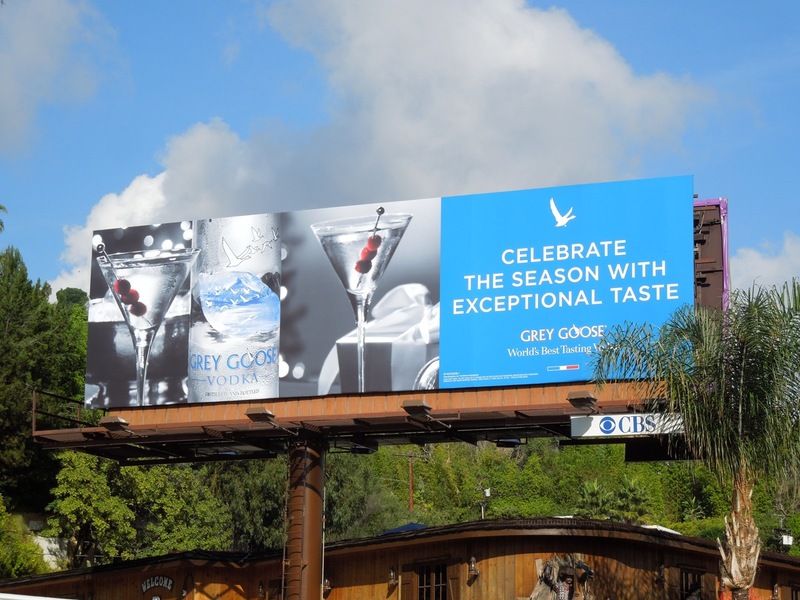 If you're a vodka fan, be sure to check out all these other vodka billboard ads here at Daily Billboard and have a very merry (and safe) festive season.